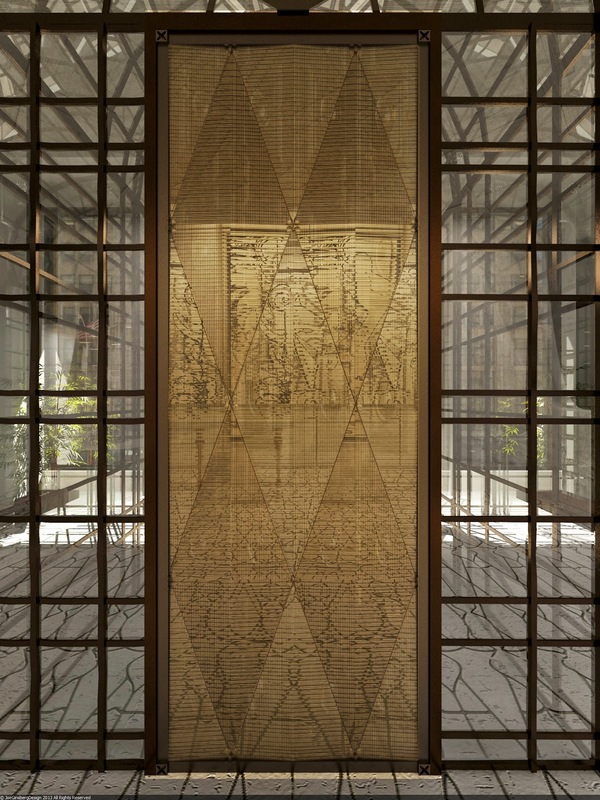 One can say that New York City artist and designer Joe Ginsberg is a Renaissance man. With formal training in art, sculpture, color science and photography, Joe Ginseberg's multi-faceted background informs interior spaces with thoughtful ingenuity. 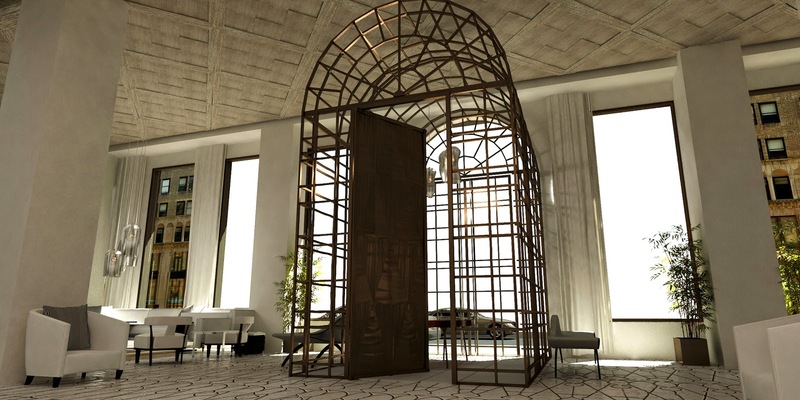 The NYC Marmara Park Avenue, an American flagship of the Turkish hotel chain the Marmara Collection is his latest creation. 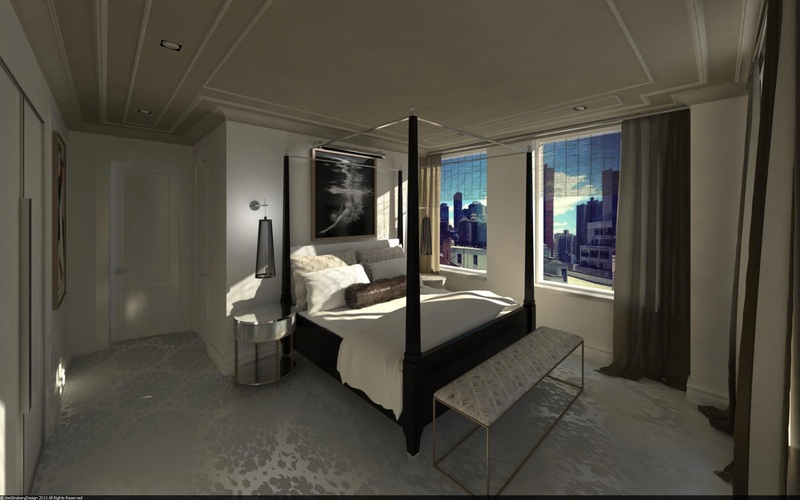 The 1927 building located on 32nd street between Park and Lexington avenues underwent a full renovation to house the luxury boutique hotel,128 key units in the heart of Manhattan. 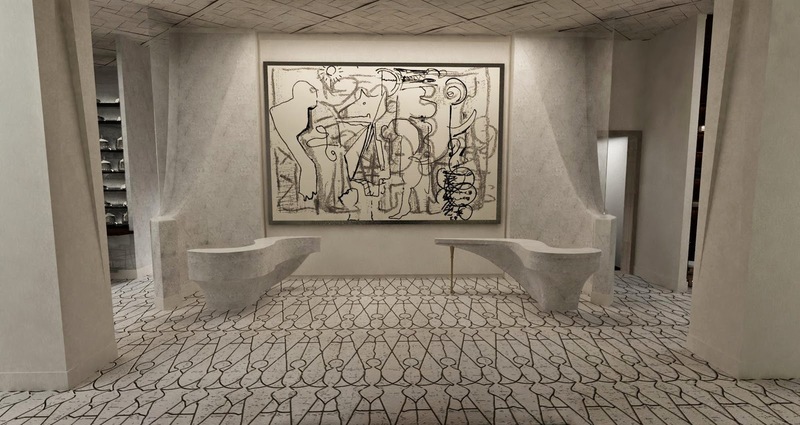 The cool factor about this forthcoming hotel and Joe Ginsberg's design is that it aims to make guests feel as if they're coming home. Each hotel room is designed to look and feel more like apartments rather than the standard traditional hotel room layout. 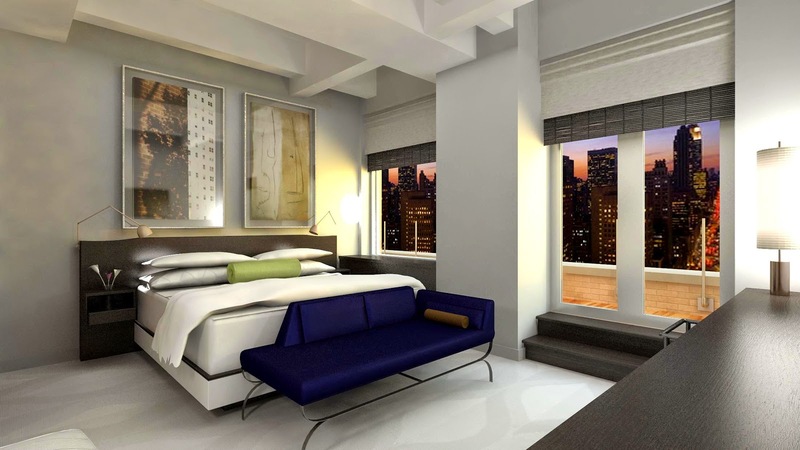 For the NYC visitor, this urban oasis is perfect for an extended stay. The design includes custom-designed and individually produced items from artisans across New York City's five boroughs. Nothing mass produced. Love that! The signs that this is going to be an unique experience is when you walk through the front doors. The black riveted iron façade is spectacular. Its a big, wow! A neutral palette combined with richly colored accents and art indulges the visitor to find refuge from the busy New York City streets. 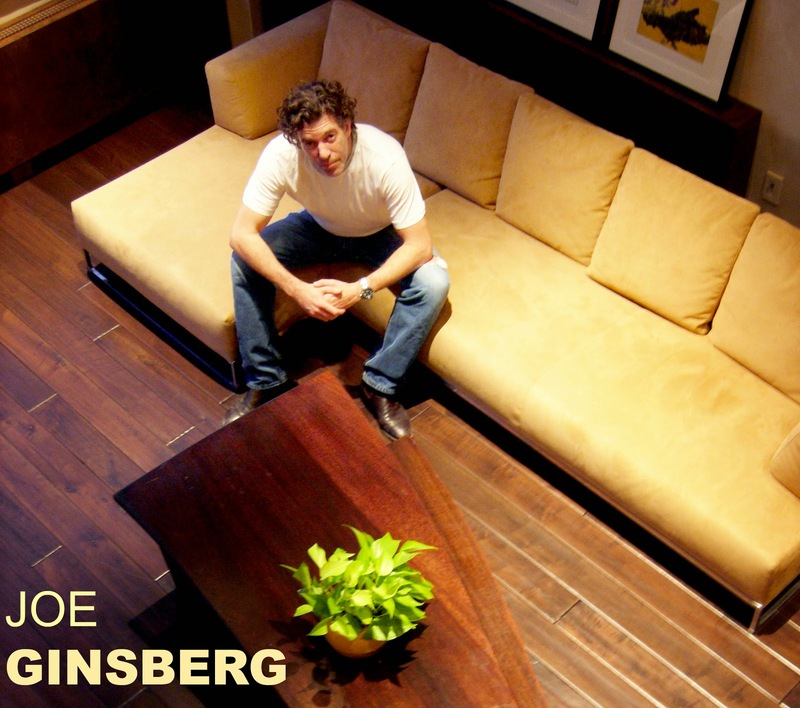 I'm excited to share an interview with Joe Ginsberg today! I create designs that are timeless and classic. 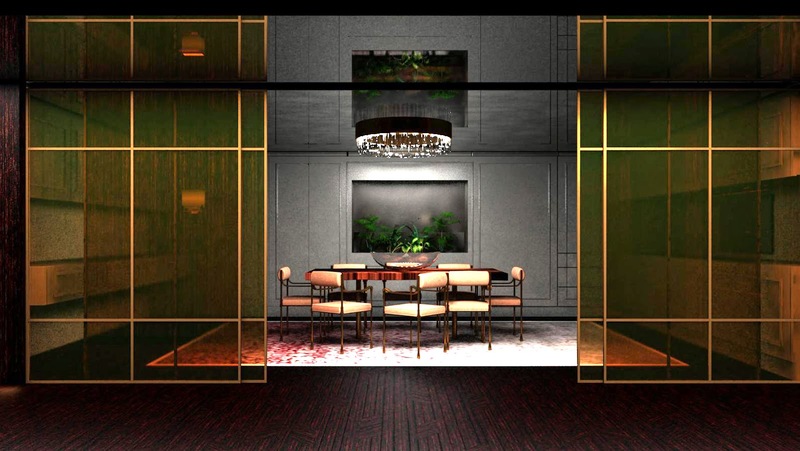 Our interiors carry a distinctive hand made sense of craftsmanship evident in our unique material applications and custom fabrications. In my drawings, you can see the visual process of how one idea leads into the next. My work spans multiple platforms from my paintings to the interiors and collections I design. To approach each project and creation with a new point of view each time. DESCRIBE the vibe and creative process in your STUDIO? The creative process is one that I embrace and aim to have my studio run in the same way. Together we work collectively as a team to unify our ideas and voice, bringing together our independent design aesthetics and goals. which of your material innovations are your favorites and why? It's hard to have a favorite child. 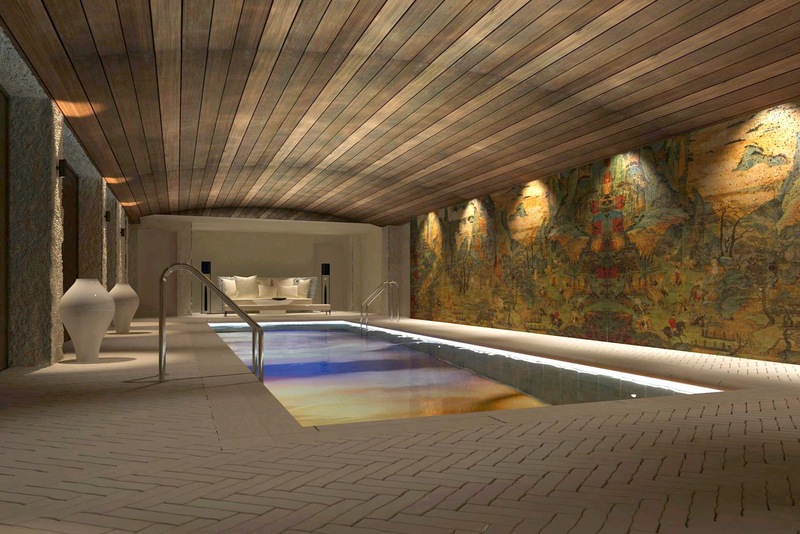 BIGGEST DESIGN IMPACT THAT inspired the marmara park avenue project? 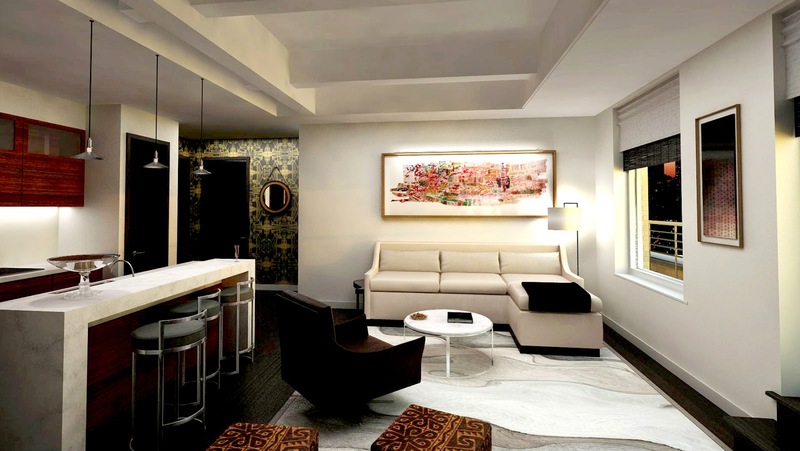 A design impact hasn't inspired the Marmara project. Rather, it was my gut that told me to create the modern metropolis setting in the heart of the city. LESSONS LEARNED ON THE MARMARA PARK AVENUE PROJECT? I continue to develop a deeper understanding of how to deal with challenges that arise with each project. MOST IMPACTFUL entity (space, art, music, etc) THAT has INSPIREd your work? Nature, the street, Picasso and the Beatles. MANTRA YOU HAVE BEEN LIVING BY LATELY? Thank you Joe for the great interview!